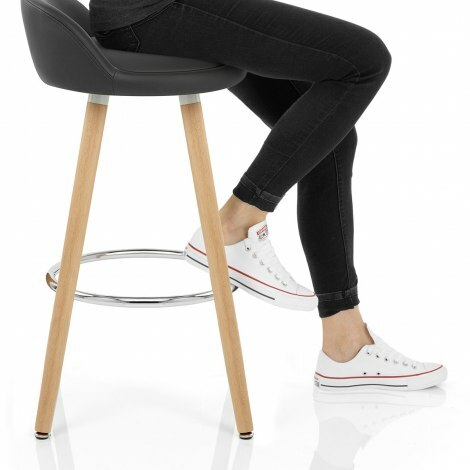 Savour the chic modern style of the Jive Wooden Stool Grey. An exclusive fixed height model where contemporary design meets classic style, the Jive is both visually appealing and completely comfortable. A must-have item, you won’t be disappointed with this understated model. 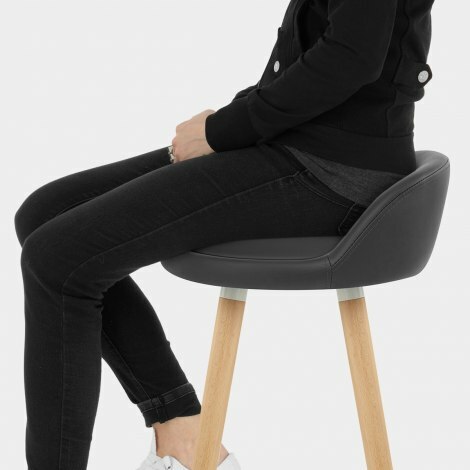 Upholstered in gorgeous grey faux leather, the comfortably cushioned seat pad is circular in shape and has a subtle low lip backrest for added support. Descending to the floor in a trendy pyramid form, the four solid wooden legs have a natural oak finish and are braced with a contrasting chrome footrest for enhanced stability. Fixed at standard kitchen worktop height for use in the home, the Jive is completed with adjustable protective plugs for use on uneven surfaces and to minimise damage to flooring. "Well made, great value for money and look great"
Was looking for a compact stool. Very comfortable perfect height for my breakfast bar. Lovely grey faux leather Jive stools. Really pleased with quality and look, and very easy to assemble. Look great in my kitchen. Item was delivered when specified, easy to assemble, just as described, really pleased. 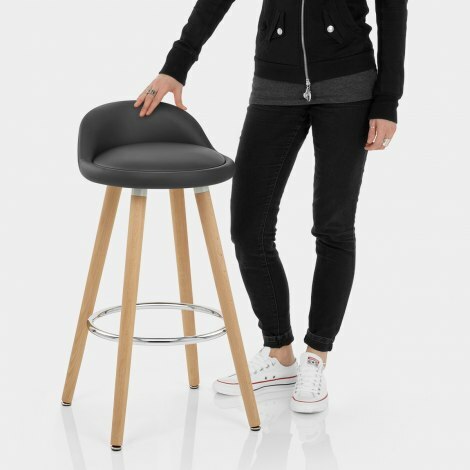 Love the stools, dark grey - fantastic quality, very stylish, brilliant customer service, arrived promptly, I would definitely recommend Atlantic, really delighted! Great fast service, love the stools!